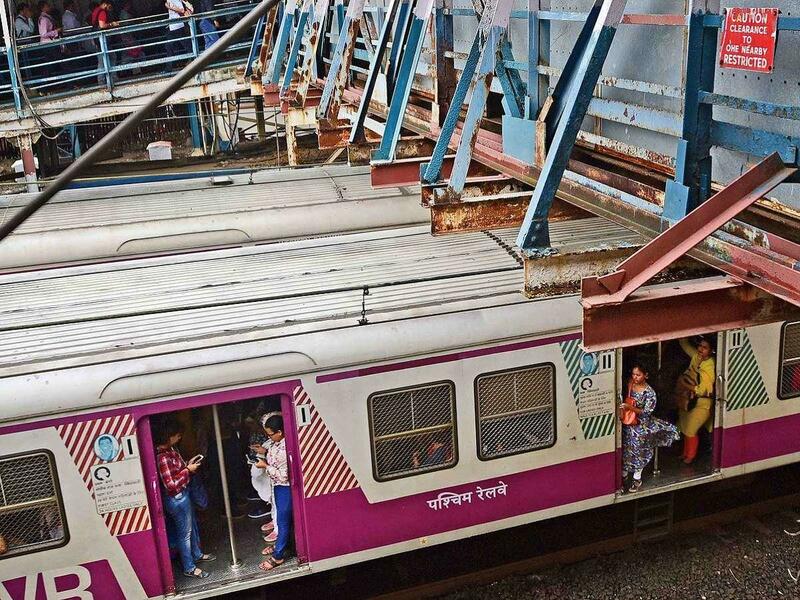 Western Railway has announced that it will put into force a major block of 11 hours on Saturday, February 2 and Sunday February 3 on all lines at Lower Parel station in order to dismantle the Delisle Road Over Bridge. The major block will start at 10 pm on Saturday and end at 9 am on Sunday. During the block period there will be no suburban services between Churchgate and Dadar stations. between Churchgate and Bandra stations. At the time of the block, some of the Up and Down suburban trains, Mail/Express trains will remain cancelled, short terminated and will be re-scheduled. Incidentally, Mumbai will witness one if its biggest events - the Mumbai Pride 2019 - on February 2. The event celebrations are expected to wrap up by 6:30 pm and so organisers, and members and allies of the LGBTQIA+ community are already spreading the word and coming up with ways for participants to return home during the block. "Owing to the megablock expected on the night of February 2, we will advise our patrons to plan for other means of transportation post the pride," said Sonal Giani, who is a part of Queer Azaadi Mumbai, which organises the event. Added Harish Iyer, an equal rights activist and a member of the collective behind the event, "Come mega block or any other shock, we will celebrate our being and we will be with our whole selves at the pride. We will carpool, we will bus it, we will use the Central line and Harbour to reach Prabhadevi and Dadar, but we will celebrate. We are undeterred." -- The last slow local train in Up direction will be train no BO 91102 which will depart from Borivali at 20:56 hrs and arrive at Churchgate at 10:03 pm. All slow local trains in Up direction will run up to Bandra and will be dealt on platform no. 2 at Bandra. All fast local trains in Up direction will run up to Dadar and will be dealt on platform no 4/5 at Dadar. Out of the 404 services during the major block, 205 services will be cancelled and 199 services will run. The details of the suburban services being run and cancelled will be available at all stations with the station masters of the suburban section. Train No. 12268 Rajkot – Mumbai Central Duronto Express. Train No. 19034 Ahmedabad – Valsad Gujarat Queen Express.· Train No. 12228 Indore – Mumbai Central Duronto Express. Train No. 12928 Vadodara – Mumbai Central Vadodara Express. Train No. 12954 Hazrat Nizamuddin – Mumbai Central August Kranti Rajdhani Express will be regulate at Borivali/Andheri for approx. 15 minutes. Train No. 59439 Mumbai Central – Ahmedabad Passenger of February 3, 2019 will depart from Borivali at 13.35 hrs. . instead of its scheduled departure from Mumbai Central at 12.15 hrs . Train No. 19015 Mumbai Central – Porbandar Saurashtra Express will be rescheduled to depart from Mumbai Central at 9.20 hrs. instead of its scheduled time at 08.20 hrs.